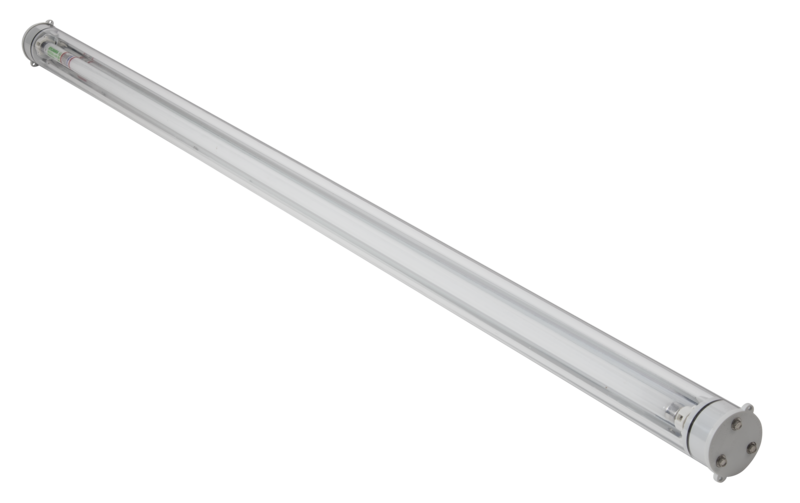 The WaterGuard Single T5 is a single fluorescent fixture ideal for aqeuous environments, including the food industry and other industries. 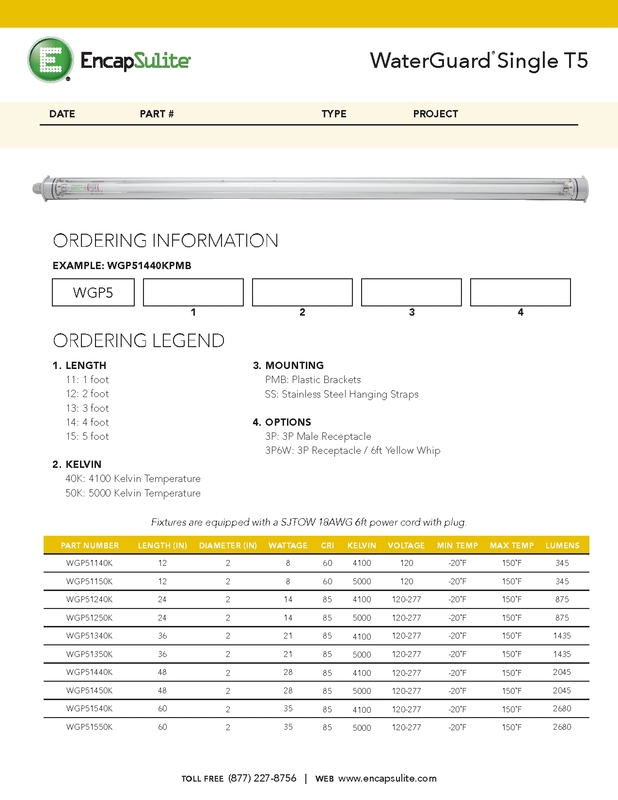 This waterproof fixture is available in five lenghths, from twelve inches to sixty inches, and includes a Teflon® Coated Fluorescent Lamp. EncapSulite’s WaterGuard Single T5 waterproof light fixtures feature electronic program start ballast with universal voltage (120-277 50/60HZ), and a factory pre-wired 8’ power cord and plug. High efficiency reflector systems increase foot candles directly under fixture, with T5 safety coated lamps included. Limited 1-year warranty. UL 1598 (wet location) listed and UL-EPH certified.